The rapidly escalating price of electricity in this country has far-ranging consequences from the poorest households to the biggest industries. The National Energy Regulator of South Africa (NERSA) will soon be making a decision on whether or not to allow Eskom to deviate from minimum information requirements in the utility’s next tariff application. This information is important because it is necessary for thorough public participation, and indeed for the regulator to take a decision as to whether any tariff increase will be considered. If we don’t have the necessary information, how can a reliable decision be taken? More than that, what is Eskom trying to hide? Eskom is only requesting a tariff decision for 2018/2019, which is a deviation from the normal approach (which is to apply for a multi-year price determination). More importantly, the utility is subsequently applying to deviate from meeting certain information requirements of the methodology that enables the determination of tariffs. Essentially Eskom is arguing that most of it systems and reporting measures cannot fulfil the requirements set out by the regulator. Instead of requesting additional time in order to remedy the identified gaps, Eskom is instead requesting to be exempt all together from providing the required information. The power utility had more than enough time to prepare for new tariff applications, in fact it had since the 1st of March 2016 to prepare information for its tariff application: Eskom then requested an extension until the 1st of April 2017. In February of 2017, Eskom applied for a quasi-extension which effectively means that it will postpone its actual 10-year MYPD4 application. The delay tactics that Eskom is employing are clearly unacceptable, but the mere fact that the regulator keeps entertaining Eskom’s requests baffles the mind. To be frank, the last time the regulator bent its own rules to accommodate Eskom the outcome resulted in judicial review. The main outcome of the review was that procedural fairness was not observed and subsequently the decision by NERSA to grant Eskom a 9.4% tariff increase was set aside. The result of which is that a number of key tariff objectives are unachievable, namely: to ensure reasonable tariff stability; to appropriately allocate risk between Eskom and its customers; to provide a systematic basis for revenue/tariff setting; and to ensure consistency between price control periods. NERSA again is entertaining a process that undermines its own rules. If the problem is really about information, why can’t Eskom request an extension of the MYPD3 period? The rules facilitate this in the form of a selective re-opener. The same information that was used to determine the tariff period of 2013 to 2018 will be applicable with marginal updates. It must be understood that Eskom does not act to address urgency as it materialises, instead the utility ducks and dives and tries to avoid any and all transparency and accountability. Eskom is in a state of exceptionalism, it is constantly seeking to undermine the regulator and to squeeze the South African public in order to survive. The numerous applications and scandals surrounding Eskom are a sign that the utility is no longer fit for purpose. The problem is further compounded by the regulator’s reluctance to keep to its own rules, which makes it complicit in this circular pathway in which the losers are the South African public. It surely cannot be too much to ask that Eskom follows due process, and discloses all of the information required to fully assess their tariff application, and it is critical that NERSA actually follows through and compels Eskom’s transparency. About the writer: Happy Khambule is the Climate and Energy political advisor at Greenpeace Africa. He holds an (Environmental Entrepreneurs Support Initiative) EESI fellowship that built his capacity as a policy drafter, specifically in the climate change policy arena. These skills enable him to facilitate conversations between policy makers and civil society as well as the private sector, with the aim of encouraging public opinion/sentiment to be reflected in the development of climate policies in South Africa. Happy is also part of the young lawyers programme providing legal support for the African Group of negotiators in the United Nations Framework Convention on Climate Change negotiations. Even by mid-morning, the sun hasn’t made much headway in Megan Zaal’s lounge. It’s a typical autumn day in Cape Town – overcast and cold – and like many homes in the informal settlements around South Africa, there aren’t many windows to let in light or warmth. The 26-year-old, who is on maternity leave from her catering job at a suburban hospital, is breastfeeding her infant daughter while she thinks about which aspect of the new solar PV-powered mini-grid she benefits from most since her family’s home was connected to the system that feeds basic energy though to a network of nine interconnected houses. She gets basic lighting inside and out; they can charge cellphones, and run a radio; and it powers a television set. Instead of groping for matches and candles during the night when she needs to get up to feed her six-month-old, she flicks a switch, et voila! Once her baby is satiated, she gives a tour of the family’s energy mix, a patchwork of sources so typical of this community which lives close to the breadline, and has yet to be connected to the national grid. Most residents of Jabula, in Cape Town’s Philippi area, use paraffin stoves like this red Primus for cooking. There’s the old petrol generator that takes up a chunk of floor space in the lounge, and which her grandfather Kenneth Halford hauls outside when they need to fire it up, usually between 6pm and 10pm. It goes outside when it operates, because of the exhaust fumes; then comes back inside to keep it safe from theft. But they don’t use it much anymore, now that they’re on the mini-grid. In the kitchen, she points out the paraffin Primus stove. Few in the community like these, mostly because they reek, they’re dangerous, and the fumes they produce are a health hazard. There’s also a two-plate countertop stove that runs off gas. But they don’t use this much anymore, either. Too risky. There’s a gas-operated chest freezer which they use in summer, when it’s hot. There’s no sign of candles or paraffin lamps because the PV system means they don’t need this inefficient and risky form of lighting anymore. Cooking, heating, and lighting with open flame is one of the greatest sources of house fires in these communities. The Zaal-Halford family lives in Jabula, an informal settlement in Philippi, a part of Cape Town where the state relocated people of colour during the forced removals under apartheid. They’ve remained economically marginal ever since, struggling to find minimum wage jobs and mostly surviving on social grants. They’re still waiting for the municipality to connect them to the national grid, but because they’re on private land, there’s a delay in the state meeting its objective of ‘universal electrification’. So they take care of their energy needs themselves, hence the mix of gas, paraffin, candles, and the petrol generator. But in 2016 they agreed to work with local energy entrepreneur, Zonke Energy, to test a pre-paid mini-grid electricity system. There aren’t many examples of mini-grids in South Africa. This is partly because of the country’s universal electrification policy, which aimed to get power into all homes by 2012, through grid or non-grid supply, explains Damian Conway with the Sustainability Institute Innovation Lab (SIIL) outside Stellenbosch in the Western Cape. For those who can’t connect to the grid, non-grid options usually involve solutions that are geared towards individual homes’ needs. ‘This could be single appliance solutions, such as individual solar lights or cellphone chargers. Or it could involve a system where a small PV panel and battery run basic appliances in a single home, such as lights and a TV,’ he says. A mini-grid is a step between the national grid-scale solution, and the single solar home solution: it’s an off-grid, electricity generation system that links and supplies anything from 10 to 150 neighbouring households. In the African context, it’s usually used in rural communities that are too far from national infrastructure to be connected to the electricity supply network. In South Africa, it’s regarded as a stop-gap until the state links a community to the grid, and therefore hasn’t been used much. A mini-grid needs fairly costly infrastructure – an energy source such as PV panels or a wind turbine, batteries, and a distribution and metering system – as well as technically competent maintenance and operating systems, says Conway. It is generally only viable in a high-density community. The longer the distance between the power source and the user, the greater the energy loss along the cables, which calls for a higher voltage system (this means more heavy-duty hardware and higher technicians’ skill levels). Zonke Energy’s Hendrik Schloemann scouted about Cape Town to find a community in which to pilot a fledgling mini-grid idea, to test both the technology as well as the financial model. There’s at least one employed person per household, so the community’s income is slightly higher than the average in the city’s informal settlements. Jabula is a microcosm of the challenge of energy poverty in informal settlements in Southern Africa. The Jabula system became fully operational in September 2016 and serves about 36 people in nine networked households, relying on a 1000 watt solar PV system. Kenneth Halford gets a discounted rate for having the hub in his home: the PV panels mounted above the roof on a sturdy metal frame; batteries and DC board inside the house; an internet connection to allow Zonke Energy to manage the energy supply remotely on a moment-by-moment basis. Wiring connects all additional houses to this centralised system, supplying 12 volts of electricity. The entire system cost about R100 000 to install, with Zonke Energy covering the cost of the capital investment, and owning and operating the infrastructure. The company functions as a service provider, and has a rental agreement with the users. The financial model works like pre-paid mobile phone airtime, where a family can choose one of two options: R220 per month gets six lights, two phone charging connections, and a radio; R370 also gets a television and DVD player. ‘How do we create a financially sustainable solution to energy poverty in Africa?’ asks Zonke Energy’s Hendrik Schloemann. In 2016, a few households in the Jabula informal settlement agreed to work with energy entrepreneur Zonke Energy to pilot a privately owned and run mini-grid system, with 1 000 watts of PV-supplied electricity feeding a network of nine interconnected houses. Schloemann describes it as a low-profit, private-sector social enterprise initiative that allows for partnerships with other organisations, or the state, who have their own development agendas. One way to help fund this, could be to tap into the state’s free basic electricity policy: the Department of Energy has mandated that qualifying indigent households get 50 kilowatt hours (kWh) of free electricity each month, enough for lighting, cooking, and accessing media. It’s easy to roll this out to grid-connected homes, but not so easy to support non-grid homes. An off-grid development project run by Conway’s SIIL in a low-income community outside Stellenbosch, gives renewable off-grid electricity to individual households and has managed after some years of negotiations with the Stellenbosch municipality to get the scheme subsided by the municipality through this free basic electricity policy. Here, the subsidy is equal to the nominal rand equivalent of 50kWh and is paid towards the running costs of each household served in the scheme. Schloemann thinks this might be worth pursuing in Jabula, too. Although, as Conway points out, the current rand value of that free electricity ‘comes nowhere near to the true cost’ of providing 50kWh of off-grid electricity to an indigent household. This means the community doesn’t have to shoulder the high start-up costs. But it is risky for the developer, and why Schloemann wants to boost capital injection, either through state subsidies, private sector investment, or partnering with NGOs. A system like this does need community buy-in, in order to avoid things like cable theft, tampering, or vandalism. What Schloemann has learned, he says, is that those who have the system in their homes are happy; those who are still waiting for the mini-grid to be widened to include more homes, are frustrated by the slowness of delivery (Zonke Energy needs to raise the capital before it can extend the network); and some are worried that by having this system in place, the municipality won’t prioritise them for grid connection. Two doors down from Megan’s home, is pensioner Christine Jacobs. The 71-year-old has signed up for the R220-per-month package. Like Megan, she needs the lighting more than anything. ‘My eyes don’t see so well at night anymore,’ the retired cleaner smiles. Pensioner Christine Jacobs can’t see well at night anymore, which is why she needs good overhead lighting. She’s never had a generator – for many in Jabula, this option is too dear – but her lighting costs have dropped since she joined the mini-grid. Once a week, Christine walks to Shelly’s Tuckshop, about 300 meters away, and tops up her electricity. This is Zonke Energy’s vendor, where each of the nine clients do their energy shopping either weekly or monthly, depending on their cash flow. The shop owner then goes onto a web page using a computer tablet, and punches the details into an interface which immediately communicates to the hub of the system, releasing power to the client for the period of time they’ve just paid for. Megan is starting out her life as a young mother. Christine is in her sunset years, living with her daughters and their children. Both say that the mini-grid has made their lives easier, they’ve cut their energy costs, and they don’t have to live with the anxiety of dangerous forms of power. There has been talk about a just transition, particularly regarding climate change, clean energy production and environmental protection for years. The discourse has, however, mainly been confined to trade unions, nonprofit organisations and academic institutions. While a just transition can be applied to a number of sectors, the two basic components remain the same. The underlying “transition” component revolves around change: a movement from the status quo to something better. There are several settings for this transformation, but most are along the broad lines of shifting from environmentally and socially damaging practices to those of a cleaner, restorative economy. Many activities contribute to climate change. Moving towards a future of more sustainable, low-carbon actions fits within the definition of this transition. An example is the movement away from coal as a means of electricity production to renewable energy sources such as wind and solar. The use of coal has many negative effects on human and environmental health such as water and air pollution, with carbon dioxide emissions that contribute to climate change. As renewable energy sources have far fewer of these negative effects, a large-scale transition to wind and solar to replace coal for electricity needs is a progressive step because the end result is better for people and ecosystems. It is actually happening around the world and is no longer just a dream of environmentalists. Despite the obvious benefits to the planet and society, a key driver has become basic economics. Renewables are in many cases cheaper than fossil fuels for energy production. In SA, the latest costs for electricity from independent power producers (IPPs) using wind and solar are 40% cheaper than from coal. India recently cancelled plans for 13.7 gigawatts of new coal-fired power station capacity (about 37% of SA’s total current capacity) because solar is now cheaper. Due to the health, environmental and economic benefits, many of these changes are already under way or will happen soon. The “just” component of the term speaks to justice and fairness and is mainly centred on workers in the industries that are to be downscaled or replaced. Many of the areas of transition are within the domains of basic services and human rights. These include energy access, water sources, air quality, agriculture, resource extraction and biodiversity preservation. All have a direct effect on all of society and what future generations will inherit. There is, therefore, an obligation to make this transition process as fair as possible. There must be strategies to minimise the effect on those who will initially be unsettled, as the final outcome improves society. For example, if the government establishes policies to upscale renewable energy and phase out coal, there must be a “just” way of doing it so that workers in these coal sectors are employed elsewhere, or given training to allow them opportunities for jobs or livelihoods in other sectors. The first step is to acknowledge that in the broader process of creating better overall circumstances, those who are initially disrupted should be cared for. While the interests of specific groups, such as owners of the fossil fuel industries and their employees, in maintaining the status quo cannot be allowed to trump the interests of society as a whole, provisions must be made. A just transition must have a plan to proactively map out how to compensate workers who are initially affected by these necessary changes, which will ultimately yield a net overall benefit for all. The next consideration is timing and the political moment. Using the coal example again, Eskom recently announced the planned closure of five coal-fired power stations. While these facilities are old and scheduled for decommissioning anyway, the Eskom message was that it was due to the renewable energy IPPs. Due to the Eskom move, some trade unions started planning a campaign against the IPPs to protect workers’ jobs in the affected coal industries. Conveniently, this suits Eskom, which has been refusing to sign 37 contracts with IPPs since July 2016. The unions are correct in standing up for workers’ rights, but in this case, an action against the IPPs would only be of short-term benefit. Worldwide, the writing is on the wall, with renewables going from strength to strength, and providing many jobs in the process. Conversely, coal for energy generation is an industry in decline and power utilities around the globe recognise this. For example, in the US the wind turbine technician profession is the fastest-growing occupation, while the coal-mining industry shed 10,900 job the year ending May 2016. It would be advantageous for the relevant unions in SA to campaign for the development of a proper plan for a just transition in this sector, as it will provide better long-term opportunities for their members. A just transition across various sectors is clearly important, but it requires proper planning and government intervention. It will not just happen by itself. Market forces may drive many changes, but they will not necessarily be “just”. The key issue in this topic in SA is that there is no official planning around a just transition, although the National Planning Commission is looking into it. Several civil society organisations, industry players and trade unions are working on this issue, but the government needs to step up to the plate. There is a great opportunity to create many decent jobs and livelihoods within a system that prioritises environmental sustainability, ecosystem restoration and climate-change mitigation. However, the concept of a just transition must be recognised and high-level national planning must be done. Many of these changes are coming regardless and they must be managed in the most just and equitable way possible. It is the right thing to do. By Admire Moyo, ITWeb’s business editor. 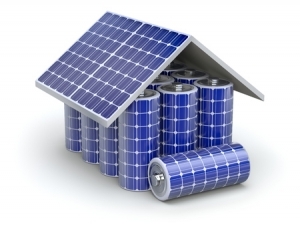 Eskom has identified the need for up to 2 000MW of additional, daily balanced energy storage. While renewable energy independent power producers (IPPs) are in the dark about when new power purchase agreements (PPAs) will be signed, Eskom has established a battery test and demonstration facility at its Research and Innovation Centre in Rosherville, the only one of its kind in SA. The power utility says the objective of this facility is to compare different technologies and supplier products under identical South African conditions and to identify which of these products is suitable for Eskom’s future needs for energy storage. It notes these needs have been primarily defined as grid strengthening and for the integration of renewable energy sources into the grid. “We have identified the need for up to 2 000MW of additional, daily balanced energy storage within the existing grid,” says Barry MacColl, Eskom’s general manager for research testing and development. Eskom says research has shown storage helps with the integration of renewable energy supplied by IPPs being fed into the grid. This is due to the almost instantaneous variations in the quantum of this supply based on the variations in solar and wind resources, it explains. Worldwide, the need for energy storage to smooth the output of wind and solar farms is being recognised, and based on this, as much as 2 000MW is expected to be required to accommodate the up to 18 000MW of renewable generation included in SA’s Integrated Resource Plan 2010, the power utility points out. Additionally, says Eskom, the timing of production from solar power added to the grid is such that Eskom will need to provide additional peak power generation, or load shift the energy produced into times when the sun is not shining. Another key use of energy storage is to help distribution and transmission strengthen IPPs’ infrastructure and defer capital expenditure as well as provide voltage and frequency support. “The future need for energy storage is therefore clear; however, the existing technologies are only at the beginning stages of commercial development,” MacColl says. The two systems installed include 200kW, 1.0MWh units supplied by AfriDevo (a lithium ion battery manufactured by BYD of China) and a General Electric unit, which are supplying their version of the Zebra battery previously tested for electric vehicles (a sodium nickel chloride battery). A control and data monitoring system has been installed to allow for the battery systems to be controlled and charged and discharged by the grid and provide simulation opportunities. There is space for more units, says Eskom. “The intention in the long run is to have additional opportunities explored to test additional technologies. Best practice and best approach will be formulated during this process to ensure optimal procedure for future technologies to be included in the testing facility. Testing initiation is planned for the end of July,” MacColl says. Meanwhile, renewable energy industry body the South African Renewable Energy Council (SAREC) says the best means for Eskom to boost the industry in SA is to conclude duly procured PPAs. “Nevertheless, as a small contribution to ensuring existing renewable energy contributions to the grid are optimised, this initiative is welcomed,” says Brenda Martin, chairperson of SAREC. “The uncertainty around the conclusion of PPAs is taking a significant toll on South African businesses and communities surrounding the proposed power plant sites. We hope PPAs will be concluded soon, so that government’s vision for the renewable programme can be realised through continued value chain growth,” she notes. Richard Halsey, a member of environmental body Project 90 by 2030, says the Eskom facility itself is just for testing, so it will have no immediate effect on large-scale renewable energy operators that are currently supplying the grid. “However, it is a positive step, as once the percentage contribution of renewable energy to the national grid increases substantially from what it is now, there will be a higher requirement for storage. Therefore, taking steps to determine the best storage options is an indication of forward thinking and recognition of the role that renewable energy will have to play in our future energy mix,” says Halsey. He is of the view that large-scale energy storage options for Eskom are important, but with a move to more decentralised production of electricity, there is also a need for municipal and residential scale storage to complement the expanding future roles of these entities in electricity generation. “Also, work by the CSIR has shown that our national wind resource, on aggregate, is often in the evening which complements the daytime peak of solar. This means our combined renewable resources, on average, cover a large proportion of the day without storage. This is not to say storage is not important, but just that we have some leeway given the advantages of temporal distribution of our wind and solar resources,” Halsey concludes. Enough is enough – a popular slogan at the anti-Zuma marches last week (April 7) but also an understatement on the ongoing delays in signing renewable energy contracts.At the State of the Nation address we heard that “Eskom will sign the outstanding power purchase agreements for renewable energy in line with the procured rounds”. That was more than two months ago, which was already six months late as Eskom first refused to sign contracts with preferred bidders at the end of July 2016. Eskom is owned by the state, and the outstanding contracts are part of the government backed renewables programme, so in theory there should never have been any delays in signing the contracts in the first place. The most recent date for signing was set as April 11: the independent power producers had done all their paper work, and it was simply up to Eskom to sign. However, since the infamous cabinet reshuffle, there is now a new Minister of Energy, Ms Mmamoloko Kubayi, who requested a postponement. This is a difficult issue. While Kubayi needs time to find her feet in her new role, it is not productive to put everything on hold because someone has a new job. The net result is that there is yet another delay in a process of progressive change in the energy sector. There must be an urgent clear directive as to how to get these contracts signed as soon as possible. The 37 projects on hold have a combined investment value of about R58 billion, will create jobs and provide clean energy for South Africa. A shift to renewable energy is in the best interests of our people and the environment. We have had enough delays. The court ordered government to set aside the 9.6GW nuclear deal with Russia. Environmental organisations and SA’s renewable energy industry say it does not make sense for the country to invest in nuclear energy.These comments follow last week’s ruling by the Western Cape High Court in favour of anti-nuclear activists, stating government’s nuclear procurement process was not valid. In 2014, SA and Russia signed an inter-governmental agreement that sealed a cooperation pact between state-owned nuclear group Rosatom and state-owned utility Eskom. The court ordered the government to set aside the deal which would see the procurement of 9.6GW of nuclear energy. The deal is expected to cost one trillion rand. Judge Lee Bozalek said the government had flouted due process by not first debating in Parliament its decision. “I think the ruling is firstly a confirmation of healthy democracy – that independence of the judiciary in SA is sound, and that statutory accountability continues to be vital,” says Brenda Martin, chair of the South African Renewable Energy Council (SAREC). From a perspective of utility scale options available to SA, Martin says, the renewable power industry has a sound track record for good governance, bid prices have dropped by over 60% in just four years, and construction has been achieved within budget and on time in 98% of cases. Any cost overruns are for the private sector’s account, she says. “By comparison, nuclear power exploration in democratic SA has yet to prove its good governance credentials or affordability in practice. Cost overruns will be for the taxpayer and consumers’ account. Global trends on nuclear build programme cost overruns are confirmed by every annual nuclear industry status report. 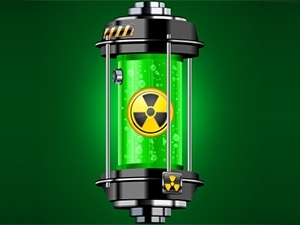 Penny Jane Cooke, climate and energy campaigner at environmental activist group Greenpeace, says it is important to note the courts have not passed a judgement on whether nuclear is a bad choice for SA. What the judgement says is that the process to date has been bad, thus the existing agreements have been deemed to be unlawful and unconstitutional, she notes. “This is a huge win for SA in that it shows democracy works and that the courts agree with civil society that any nuclear procurement that goes ahead must be done in a transparent manner and with full public participation. It is now up to government to ensure a transparent and democratic process occurs going forward to truly determine the need for nuclear energy in SA,” she says. According to Cooke, nuclear energy is an outdated technology that is being rejected and turned away from in many parts of the world. She adds that as many stakeholders have repeated time and again, the financial implications of the nuclear deal are just too high and all South Africans would be left with the costs of unaffordable electricity. “Renewable energy is gaining popularity globally due to the fact that it is the most affordable and most mature technology, with learning rates and benefits that nuclear energy could never live up to. In SA, it is not a question of popularity but rather a question of government will. Richard Halsey, a member of environmental body Project 90 by 2030, hopes the ruling will bring about proper decision-making in national energy planning based on good information rather than vested interests. “To move away from coal, renewables and nuclear are viewed as the two main low-carbon options. Renewable energy can now provide the cheapest electricity in terms of new build, utility-scale capacity. Wind and solar plants can be built faster, provide more jobs and have fewer environmental considerations in relation to nuclear,” says Halsey. He explains that since renewable energy, by its nature, is made up of a larger number of smaller individual generators, there is less room for corruption compared to mega projects such as nuclear, where only a handful of companies handle big tenders. Meanwhile, energy minister Mmamoloko Kubayi has committed her department to public participation and transparency around the nuclear procurement programme. According to Sowetan, in her first public comments since taking office‚ the minister told members of Parliament’s energy portfolio committee that she did not have any problems with last week’s Western Cape High Court judgement insofar as it stressed the need for public participation. Another industry body, the South African Photovoltaic Industry Association (SAPVIA), says the ruling is positive for SA’s energy sector in general because it supports the rational energy planning process. It is essential that SA follows a predictable, rational and informed energy planning process as laid out in the Integrated Resource Plan, says SAPVIA.